Farm Sanctuary has announced that Tracey and Jon Stewart and Morrissey will be among the honorees at their Gala, which will take place on October 24 at The Plaza in New York City. 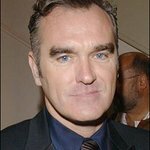 The Stewarts and Morrissey, who will be in attendance to receive the awards, will be recognized for their efforts to promote compassion for farm animals, who comprise the largest single population of abused and exploited animals on Earth. 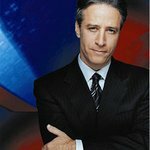 Viewers of “The Daily Show” have undoubtedly noticed Stewart’s increasingly frequent rants and barbs aimed at politicians who ignore the suffering of animals in an effort to further their own agendas, including an 8-minute segment dedicated to New Jersey Governor Chris Christie’s refusal to sign a bill that would end the lifelong confinement of pigs in crates so small they can’t even turn around. Earlier this year, Farm Sanctuary President and Co-Founder Gene Baur appeared on the show to discuss his new book LIVING THE FARM SANCTUARY LIFE: The Ultimate Guide to Eating Mindfully, Living Longer and Feeling Better Every Day (Rodale Books). Stewart’s wife Tracey is a longtime animal advocate who discovered Farm Sanctuary after she happened upon a copy of Farm Sanctuary: Changing Hearts and Minds About Animals and Food in a rental house where she was staying. Baur’s 2008 account of the conception and evolution of Farm Sanctuary inspired Tracey to reach out to the organization. At first she was in search of moving animal rescue stories to share in her upcoming book Do Unto Animals, and with readers of her magazine, Moomah, but as her devotion to farm animals grew, she found herself attending the group’s annual Farm Animal Care Conference, and bringing her family to meet the animals at the organization’s New York and Southern California shelters.